Philip Jeck and Jacob Kirkegaard met at The Moers Jazz festival in 2002 and their duet there resulted in the well received "Soaked" CD (Touch. Tone15). Year 2002. 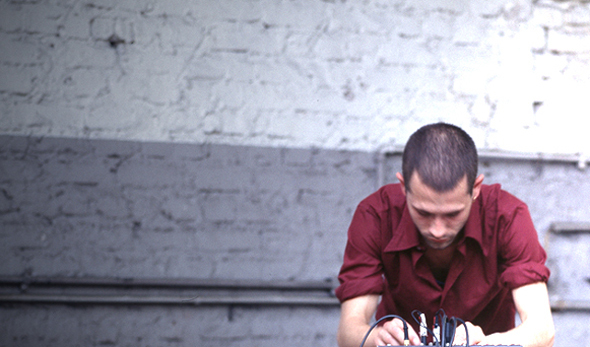 In performance Philip Jeck & Jacob Kirkegaard bring together hi and lo-tech, analogue and digital, record-players and laptop/ electronics in evocative soundscapes of past and present. Philip Jeck and Jacob Kirkegaard met at The Moers Jazz festival in 2002 and their duet there resulted in the well received "Soaked" CD (Touch. Tone15). "Working with turntables and assorted electronics they constructed an hour long piece that focused on slowly evolving, highly layered soundfields,the interlocking segments were perfectly paced, nothing too short or overstaying its welcome. With the proliferation of electronic tools for use in live performance it is rare to hear them used so organically and with such complete assurance. Ed Osbourne"
One of the most fascinating musical events came by the UK/Danish duo Philip Jeck and Jacob Kirkegaard during an evening Berlin had to offer alot. These two musicans produced a highly intellectual, refined and suble evening devited in two parts. The first part, where the audience could sit down, was very ambient with lovely water samples and tingling bells. The music was decent, fine-tuned and caressed minimal changes. The second part after the break, in which a DJ created a completely different atmosphere, was without chairs. The music was harsher, and louder. Unfortunately that last was also true for the audience. This second part started where the first left off, with nice bells that kept changing. An electric tune appears, as a sort of destruction, leaving again as nothing happened. The music gets more robust, heavier and almost industrial. Harsh electronics come and go, in a pattern. The music remains still sophisticated though, and is fully under control. The music creeps in various directions, like water it tries to finds its way to lower grounds. A sortof rhythmic sound of breaking glass has been combined with vibrating electronics with some noise on top of it. 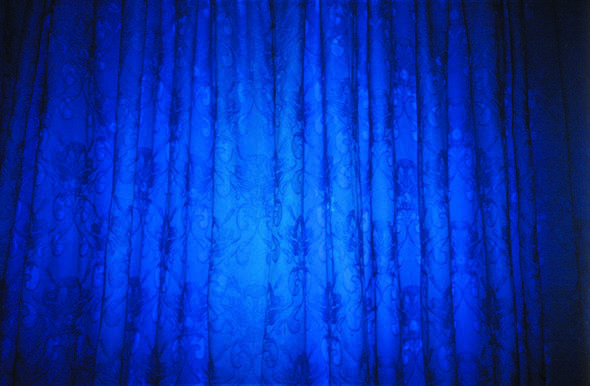 More sounds are incoporated, reminding of a distorted choir and the music by Deadbeat. The next episode is dark, like rhythmic organic electronics with sounds of water that intensify, making the music rather tense, grabbing you by the throat like a good thriller. The atmosphere changes after a while, becoming almost holy with bouncing beats interwoven. The last part of the concert reminded of a film score. The music was classical, a piano could be heard in the background, and ends with heavy, slowed-down distorted rhythms that disappear till there is nothing left anymore. Both composers have released material on Touch. 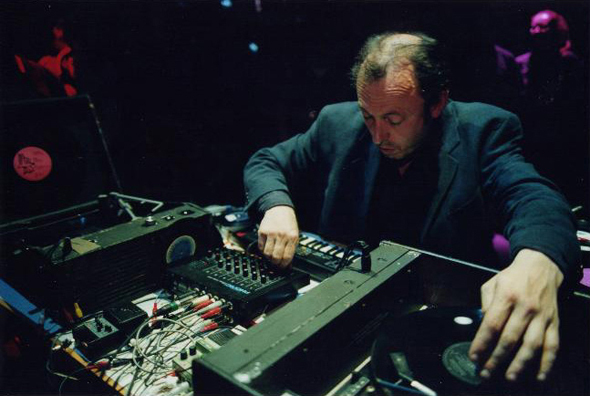 Philip Jeck works with old records and record players salvaged from junk shops turning them to his own purposes. The result is very sophisticated and serious, one can hear the art in his material. Jacob Kirkegaard's outputs are full of fragile sounds containing lo-fi noises and distant spaces with a discreet but sensible touch. The cooperation of these talented artists resulted in a fascinating live show. Let'shope this will be released one day. Phillip Jeck and Jacob Kirkegaard's two sets at Ausland over the weekend showed how careful attention to texture and timing can yield great results. Working with a set of turntables and assorted electronics, they contructed hour-long pieces that focused on slowly evolving, highly layered soundfields. Following the Dave Edmunds principle that nothing works unless it is run at precisely the right tempo, the interlocking segments of the set were all paced perfectly, none overstaying their welcome or coming in too short. Even with the proliferation of electronic tools for use in live performance nowadays it is rare to hear them used so organically and with such complete assurance.